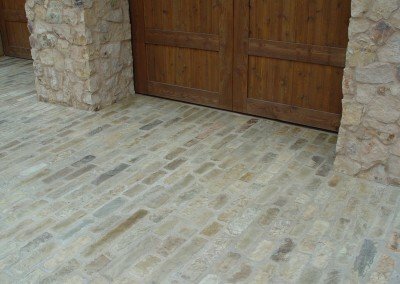 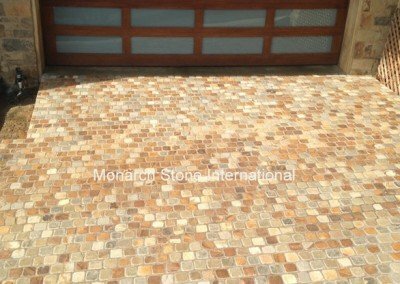 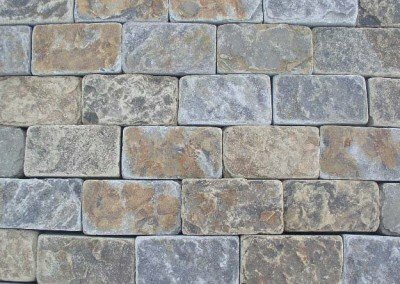 Sandstone cobblestone pavers and curbing are quarried and fabricated here in the U.S.A. and can be custom ordered in almost any dimension and thickness you require. 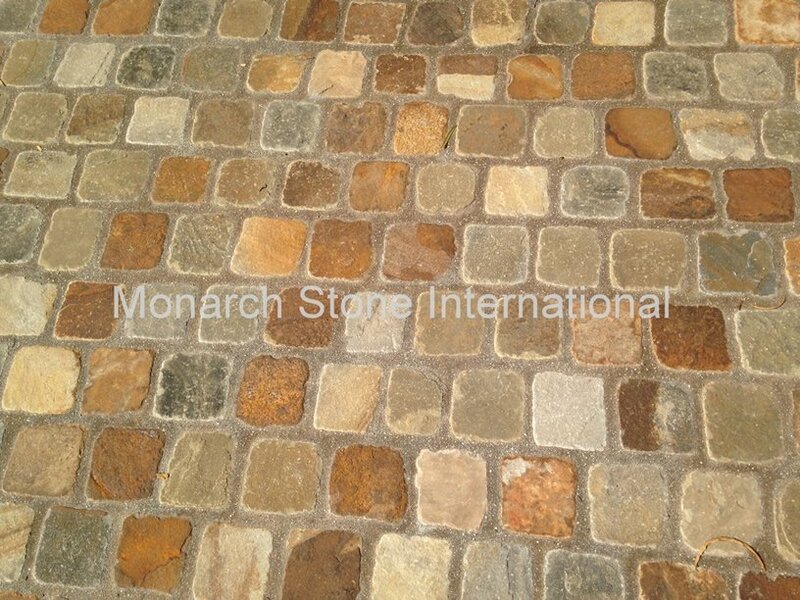 Colors vary from consistent warm golden hues, to a gray / tan mix. 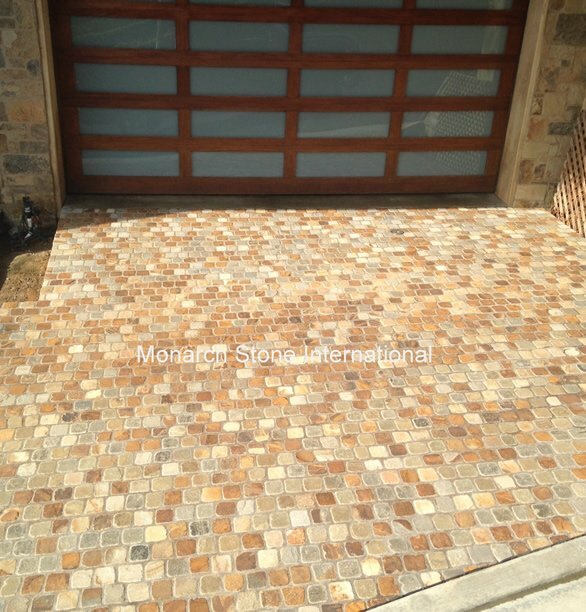 These color choices blend well with architecture using natural stone such as Santa Barbara Sandstone, Texas or French limestone or Buechel Stone products. 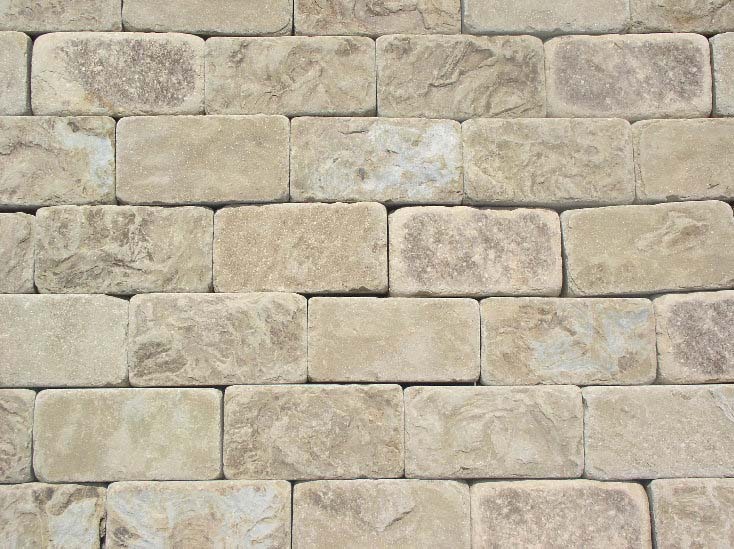 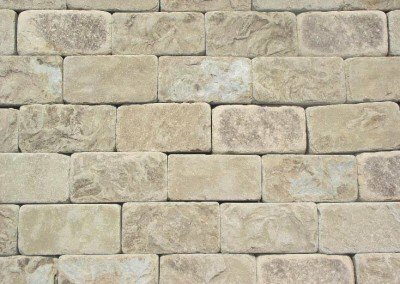 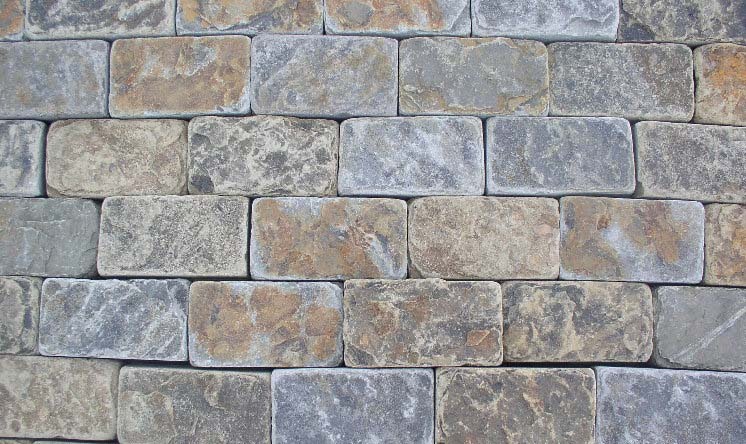 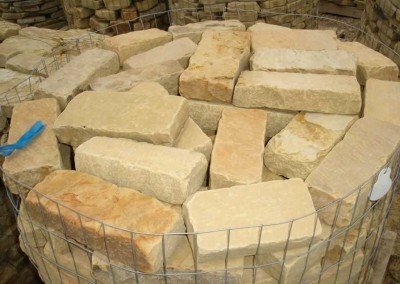 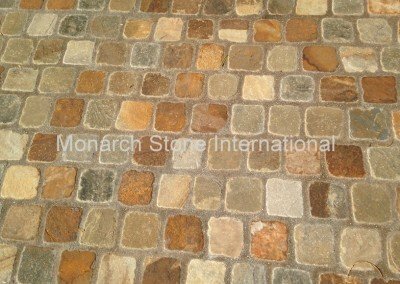 Newly quarried sandstone cobbles are durable and affordable. Call us today for a quote, minimum quantities may apply.